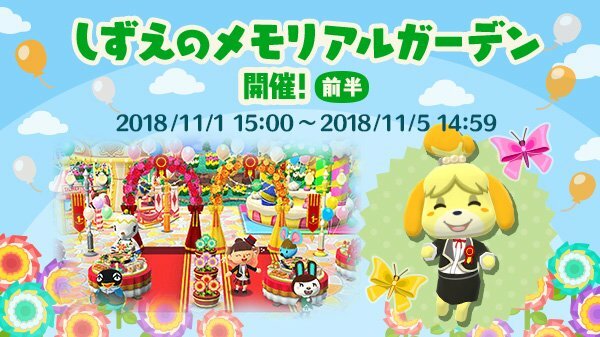 To celebrate Animal Crossing: Pocket Camp’s first anniversary, Nintendo has set up a number of events and activities. Get all of the details from the app below. The latest Voting Gauntlet is now live in Fire Emblem Heroes. Pick your favorite blue mage and support them by winning battles in the Voting Gauntlet. The match-ups in round 1 are Dealthea vs Odin, Reinhardt vs Tailtiu, Linde vs Ophelia and Olwen vs Ishtar. The fourth and final round of the Heroic Feats event has been a success. Collectively, all players have sent Heroes with accessories into battle a total of 159,744,133 times in the event period. As such, everyone has received a 4-star Oliver: Admirer of Beauty. Finally, it’s Thursday, which means that a new map has been added to Tactics Drills. “Renais’s Sacred Twins” can be found in the Skill Studies section. 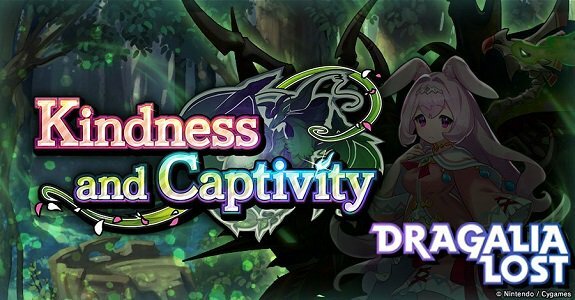 To coincide with the start of the Kindness and Captivity raid event that kicked off tonight, a new Summon Showcase is now available in-game that introduces some new adventurers, dragons, and wyrmprints within Dragalia Lost. This summoning focus is set to be live from today until November 14th. The highlighted additions are detailed below. 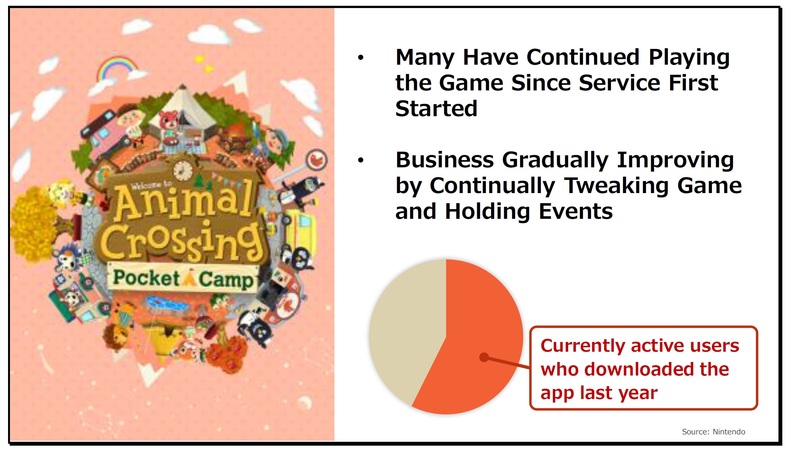 Around a year has passed since Animal Crossing: Pocket Camp was first released, and more than half of the currently active users have continued playing the game since the initial release last year. The game has sustained a number of continually active users, particularly among adult female consumers. By continually tweaking the game content and frequently holding various events, we have managed to gradually improve the business situation for this game. We are progressing with the development of an update that will broaden the scope of the gameplay. Details will be announced closer to the time of the update. 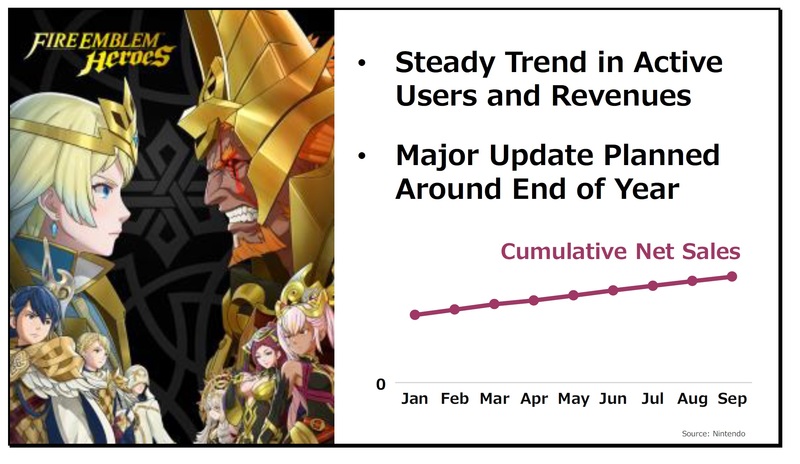 Fire Emblem Heroes continues to grow, with a sustained number of active users and total sales rising at a steady pace. The share outside of Japan continues to expand gradually, and the number of active users outside of Japan has already surpassed the number inside Japan. This is one example where sustained operation of a smart-device application has led to the cultivation of markets outside of Japan. We plan a major update to Version 3.0 around the end of the year and intend to keep pouring effort into development and operation so even greater numbers of consumers continue to enjoy the game. It has been almost two years since the release of Super Mario Run, but the number of downloads still continues to grow and the application is now installed on nearly 300 million devices around the world. Downloads in countries outside of Japan continue and now account for over 90% of the total. 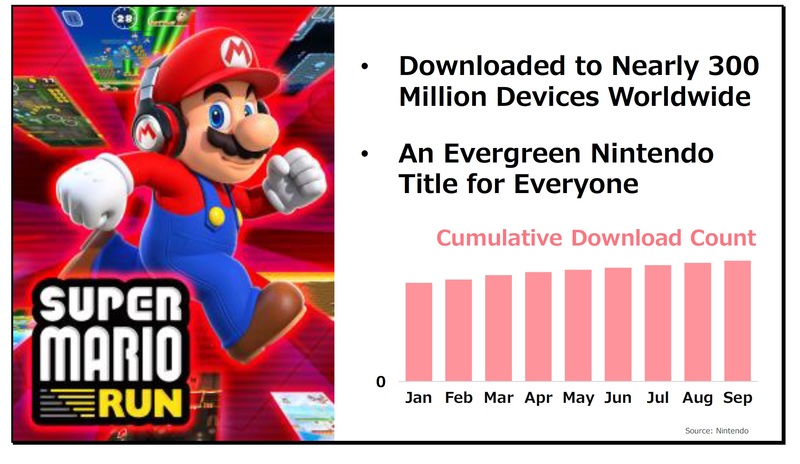 As an evergreen Nintendo title for every owner of a smart device, it has entered a cycle where a certain stable number of new downloads take place every month. The application is significant in that it brings Mario to a wide range of consumers in countries and regions not touched by our dedicated video game platform business. In this regard, it plays an important role in helping to maximize the number of people exposed to Nintendo IP. Dragalia Lost, a new and original game application developed in collaboration with Cygames, was released on September 27. Initially, distribution was going to be limited to the four regions of Japan, Taiwan, Hong Kong and Macao, but the US was added when the service began for the title. This title is an original application using completely new IP, and no existing Nintendo IP. Even so, the game attracted lots of consumer interest in the US and the rest of Asia, let alone Japan, even before the service launch, with over 1 million people pre-registering for this title. This confirmed the presence of a certain number of consumers who are keen to play this game, and even though the service launch was only slightly more than one month ago, we have already recorded sales approaching 4 billion yen by now since its service launch on September 27. In the US, the game achieved a high user-review rating of 4.8 stars in the App Store, indicating a positive reception for the game’s content. Summing this up, we think we could state that this has been a steady kick-off as a challenge for creating new IP that has been embraced by consumers around the globe. Going forward, we will be putting our efforts into television commercials and other promotional activities, while also making effective use of events and updates, in order to further expand the ranks of consumers playing this title. 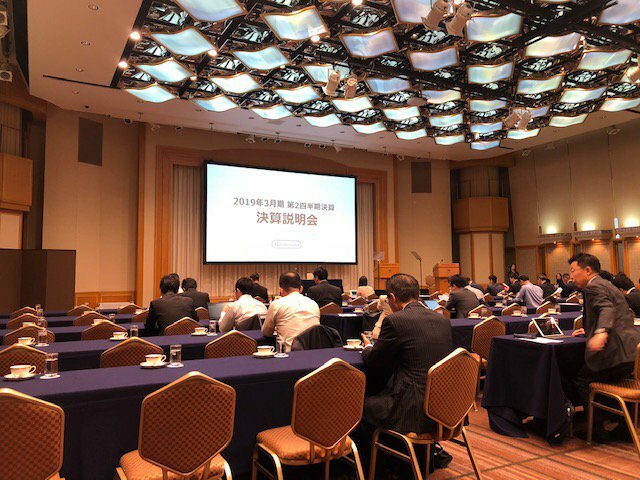 Nintendo is currently hosting a financial results briefing to cover the FY3/2019 Q2 period. Some information is currently being relayed by analyst David Gibson. We’ll round up all of the tidbits as they come in below. 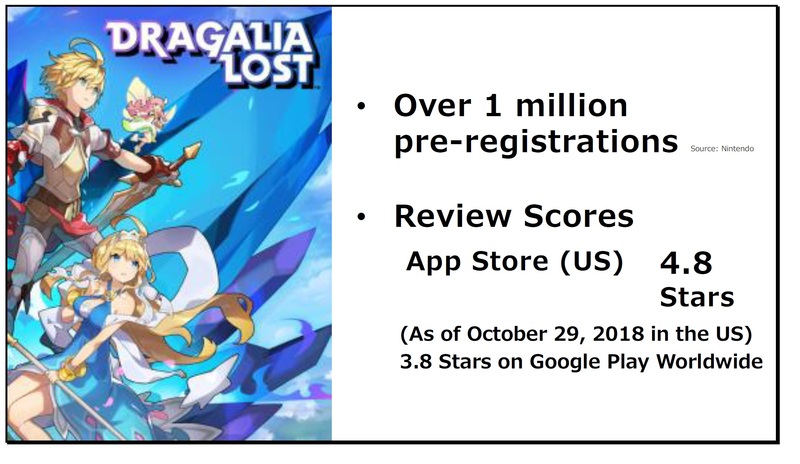 Dragalia Lost has been around (at least in some countries) for roughly a month. How has it done since its release? Based on new data from Sensor Tower, the mobile game seems to be doing very well. Thus far, Dragalia Lost has generated about $28 million. Roughly $23.5 million of that total stems from player spending in the United States and Japan. 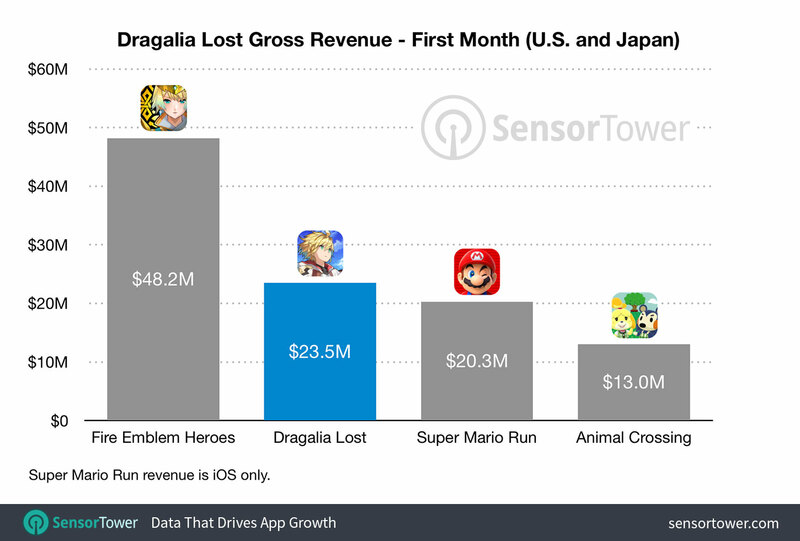 Dragalia Lost is Nintendo’s second largest mobile launch in those two countries behind Fire Emblem Heroes. A new set of Water Blessing quests have been added to Fire Emblem Heroes. They require you to defeat a variety of enemies as well as clear specific Training Tower Stratums using Heroes that have the Water Blessing conferred on them. The rewards include orbs, feather and stamina potions. The quests will be available until November 13th. Also, Intelligent Systems shared some of their plans about upcoming Heroes in a notification they published today. 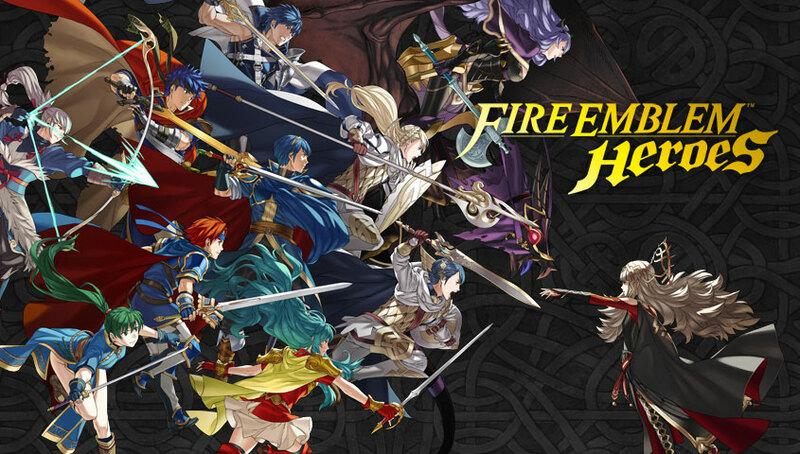 Apparently they’ve received a lot of questions from players asking about when characters from specific Fire Emblem games will be added to Heroes, and two of the most requested games have been Radiant Dawn and Binding Blade. Intelligent Systesm revealed that they plan to add Heroes from Radiant Dawn in January 2019, while Binding Blade will get some new representation in March 2019.